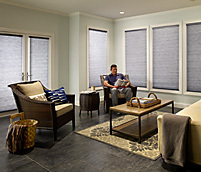 Increase privacy by covering that high foyer window. 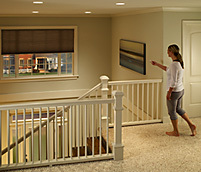 Because Serena shades are battery powered, they’re ideal for hard-to-reach windows. Mount the shade in three easy steps. 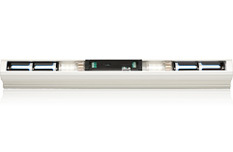 Replace the batteries in a snap, with our Tap n’ Tilt technology. Our Triathlon power technology provides a 3-year battery life, so you won’t have to change the batteries very often.